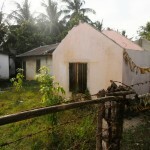 A lease was taken out in December 2011 on two properties side by side within 5 miles of the furthest Village. One property had been vacant for more than 10 years and needed extensive renovations, some pictures below show the work in progress. In January 2014 CFG commenced a lease with a third property next door. In early 2017 we lost this lease. In early 2017 we were granted a 5 year non interest bearing loan and with this purchased our own land nearby. We need funding to develop our new school on this land. A savings in rent of around US$7000 will be a huge help over the long term. Please help by fundraising or finding large corporate donors, tax advantages may apply to some in Australia. We have a donor that intends to develop accommodation at the river end of the property. This area will be fenced off, entry by permission only to authorized persons. 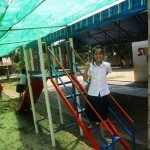 The barrier also prevents the children from river access. 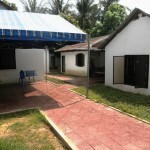 An adult Training facility will occupy the area between the School and Accommodation area. 1. 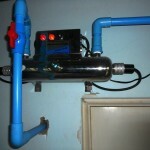 The need to supply safe drinking water to the Villagers. The existing well/bore water in the Villages is contaminated with toxins such as arsenic, fluoride, manganese and sometimes cyanide. All are in excessive levels and cause sickness and eventually death. The center has town water supplied, the town water is run through a UV filter at the center to remove bacteria, then into a holding tank ready for a fast transfer to the tank on our truck. With the help of volunteers we deliver four days each week to the Villagers, nearly 50,000 litres per month. Our water has been tested and is of excellent quality, we have noticed a great improvement in the health of the Villagers since deliveries began. 2. 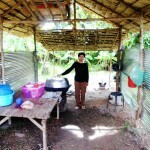 Education, Vocational Training and Food. 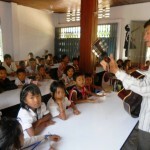 We taught the children in the Villages for a year, there were many problems with this. 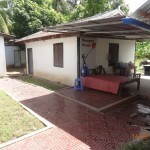 The best solution was leasing a property near the Village and providing transport to take them to and from the center for education and vocational training. We provide meals for the children at the center as well. Many of the village children have not attended school before, only ours, the reasons being costs for fees, transportation and uniforms are out of reach for these families. CHOICE have placed more than 100 students into the local Government School (Oct. 2012). Many of these are attending our Vocational training courses. We have a Sewing Course for some students. We have closed the sewing classes due to the opening of some nearby Garment Factories. We run a Computer course for students using 18 computers and 4 tablets. English and Phonics is also being taught. 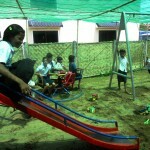 A new intake of about 30 kindergarten children has commenced in October 2013. 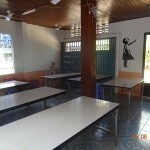 We employ 14 staff all Khmer, a manager, teachers, cooks, drivers, and a cleaner several from the Village. Over 100 children, are being transported to and from the Village by CHOICE on schooldays. 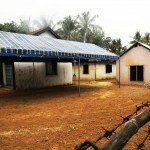 A new School for Jasmine Village. This School was closed in 2016, no further need due to their age. We opened a school in Jasmine Village on the 24th December 2012 and gave out uniforms, back packs, books etc. to our 46 children. On Xmas day we returned, all 46 children had turned up for their first day at school, we could not have had a better day. The children were very happy and keen to begin learning, aged from 6 – 16 they all paid attention to their new Khmer teacher. Most of these children have not been able to attend school before. 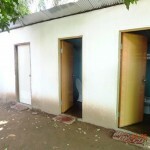 This long awaited program was made possible for CHOICE after receiving a grant from Greenergy International, England. The grant has covered the costs of kitting out the children and classroom, and will cover the running costs of the school for the next 3-4 years, many thanks to the Greenergy International staff. The development and expansion of our work in Cambodia has been made possible with the introduction of our sister branch’s, CHOICE Family Australia and CHOICE Family Germany. 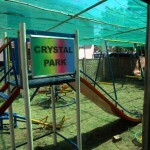 Crystal Park the new playground at the CHOICE Center is named after Leanne Balkin’s daughter Crystal. We thank Leanne, Kate and Tom for financing the playground.